GALION — The Galion Graders, under the leadership of new coach Neil Schaffner, stormed out of the gates with five wins to start their fourth season. They finally lost, on June 15, to Xenia. From there, it was a season filled with lots of highs and lots of lows. In their next six contests, the Graders went 3-3 to move their record to 8-4 overall, and a playoff berth seemed within reach. On June 24, Galion traveled to Lima and did something that they had one done in three previous three seasons. They beat the locals. However, that victory was the beginning of a downward spiral for the hometown Graders as they lost their next seven games to fall to 9-11 overall on the year. 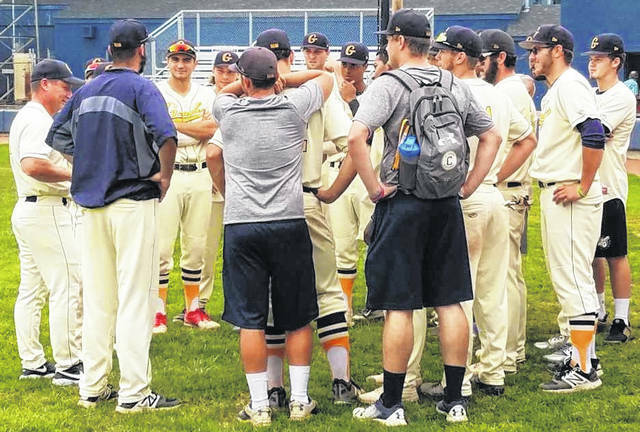 But they warmed up again and improved 16-14 at the all-star break, and were still in contention for the final playoff spot in the Southern Division of the GLSCL. But the end of the season brought more losses than wins, including five in a row, before the Graders ended the year with a 13-4 win over the Lake Erie Monarchs. They finished 2.5 games out of the playoffs. Jacob Reimold had a summer to write home about. Spending most of his season manning third base, Reimold took charge when he stepped into the right side of the plate. He finished the season second in batting average behind Southern Ohio’s third baseman Crim (.397) in the GLSCL, batting at a .392 clip. Jacob ripped nine home runs and tied for second in the league with James Roche of the Muskegon Clippers and behind Griffin Doersching of the Joes (12HR). Other statistics in 2018 for the MVP of the Graders were: 34 games played, 49 hits in 125 at bats, .392 batting average, .696 slugging percentage (best in the league), .455 on-base percentage, 1.151 OPS (also tops in the league), 34 runs scored; 9-2B, 9-HR, 1-3B, 30 runs batted in, 6 stolen bases, 9BB and 16K. Reimold is from Greenville, Pennsylvania and is heading into his junior year of his collegiate career at St. Leo down in Florida. He is 6-foot, 2-inches tall, weighs in at 215 pounds and was recently named to the Honorable Mention All-League team for the GLSCL. As for a return back to Galion for another summer with the Graders? Mac Spears: Galion native and sophomore at Heidelberg Mac Spears earned a second-team nod in his role as the closer for the Graders. Mac finished the summer with a 3-0 record to go along with four saves and an earned run average of 2.96. 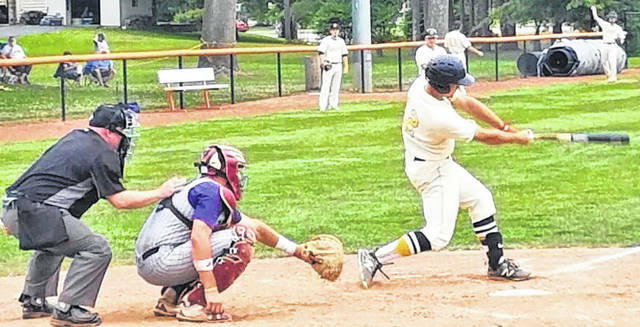 Vince Donato: An incoming freshman headed to Youngstown State University, Donato split his time this summer between playing first base and knocking baseballs around as the designated hitter. Vince got an honorable mention nod at first base while batting .296 at the dish. Jacob Reimold was constantly coming up big at the dish for the Galion Graders in 2018. Reimold crushed nine home runs to lead the team this summer and lead all of the GLSCL in slugging percentage and OPS. I have named Jacob my pick for Most Valuable Player for the Graders for his work at the plate and at third base for the hometown squad this season. Head coach Neil Schaffner addresses the 2018 edition of the Galion Graders following their final game of the season on Sunday, July 29. With the 13-4 victory Sunday over the Lake Erie Monarchs, Galion finished with a 19-22 mark to tie last season’s output for the best record in the franchise’s four year history.